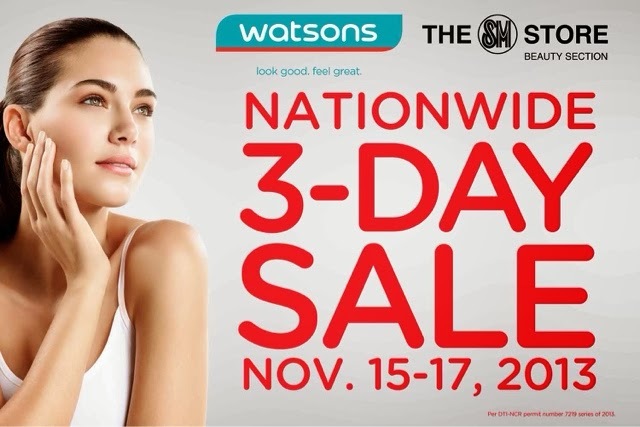 So excited to announce that Watsons is launching their 3-Day Nationwide Sale today! Enjoy up to 50% off on selected products plus another 10% off for every P1,500 single receipt purchase. Not only that, Watsons will also multiply your SM Advantage, BDO Rewards and SM Prestige Card point by 10! Now's certainly a great time to stock up on all those daily essentials!